Some days just have moments, snippets of your life that you know are extra special right as they are happening. Today I had one of those moments. It was a melancholy day anyway, the eight year anniversary of Gram's sudden death, and Kim, Senia Mae, and I decided to take the back roads instead of the major highway. We ended up with a whole hour to waste, normally unheard of, and Kim said, "Let's get some ice cream." We stumbled upon a Mom and Pop ice cream shop on Main Street in Alpharetta, an old fashioned brick colonial storefront with white painted trim and windows. It was exactly the building I would have imagined housing a little piece of historic downtown Americana and looked strikingly similar to the Pewter Pot Restaurant Gram and I would walk to when I was a child. I remembered warm corn muffins and hot tea in pewter pots as we pulled open the glass door. Four Fat Cows was lovely as well as locally owned. I was sold as soon as the eager ice cream clerk informed me that their ice cream was made with a higher fat content which resulted in a creamier flavor and with less sugar. 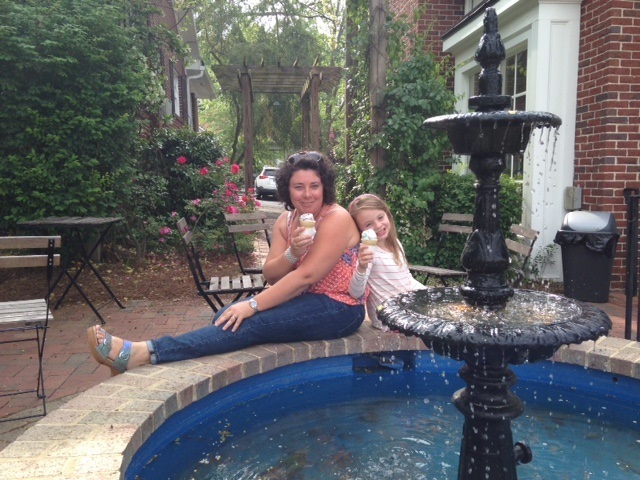 We ordered three cones of homemade heaven and decided to sit outside on the brick patio, shaded and comfortable as the trickling sound of the garden fountain muffled any unwanted street noise. An arched trellis, laden with the star flowered blossoms of Confederate Jasmine separated the patio from the parking lot. Closing my eyes and inhaling deeply, the sweet aroma carried me back to the day Gram and I planted the same vine outside the front door of my future Chiropractic office fourteen years earlier. 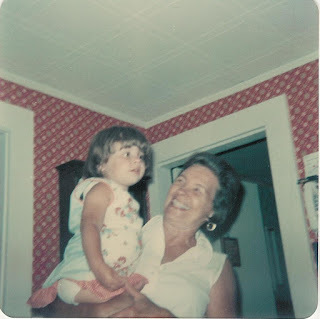 I thought about how drastically my life has changed in the eight years since Gram has passed... in some ways it feels like an entire lifetime ago. Since that time and solely because of Gram's death, Kim and I decided to have Senia Mae, named after Gram. 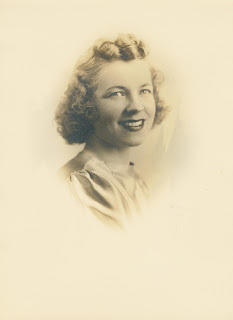 I completed a full length manuscript about the life and loss of Gram and am currently pursuing publication. Kim and I have become parents, learning how to live and love in a way I never would have imagined possible, a way that is passed down from generation to generation. Eight years ago today was the worst day of my life. I miss Gram every time I see my daughter mimic something she would have done, like taking a cardboard box out of the trash and saying, "We can re-use that!" But her death somehow kicked me into a new beginning, a better version of myself more available for giving and loving and becoming more of who I am supposed to be. That I wouldn't change for all of the apple turnovers in the world. I miss you Gram and can't wait to see you on the other side.